Did you know that there are a wealth of resources available to assist investigators with networking opportunities and investigative support? Developing collaborative partnerships to combat organized retail crime is one of the most compelling and productive ways that retailers and law enforcement can impact the effects that organized retail crime networks of all types are having on the retail community and society as a whole. None of us independently have adequate resources to effectively battle the countless means by which organized retail crime can impact our businesses and our communities. We must combine our efforts and our resources; reaching out and developing collaborative relationships with our retail and law enforcement partners while building cooperation and sharing intelligence to quell the damage and shut down these operations. Every possible avenue should be explored, and every stone overturned as we look for answers. 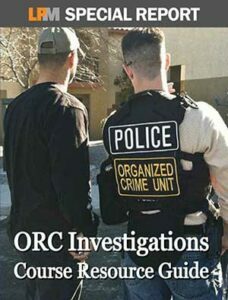 LPM’s FREE Special Report, “ORC Investigations Course Resource Guide,” offers a comprehensive list of resources that can help investigators collaborate to combat organized retail crime. This is a supplemental guide available to participants in the Organize Retail Crime Investigations Course, which can be found at www.lpPRO.com. A wide range of organizations dedicated to retail loss prevention and ORC concerns are at your disposal. Take advantage of the information and opportunities available to you. Help is out there. From dedicated organized retail crime associations to professional organizations committed to the advancement of the retail loss prevention industry and even law enforcement agencies — investigators must know they’re not alone in the fight against ORC. These valuable resources can be found in LPM’s FREE Special Report. Download it today. Enter your email and we'll send a link to the ORC Investigations Course Resource Guide right to your inbox.